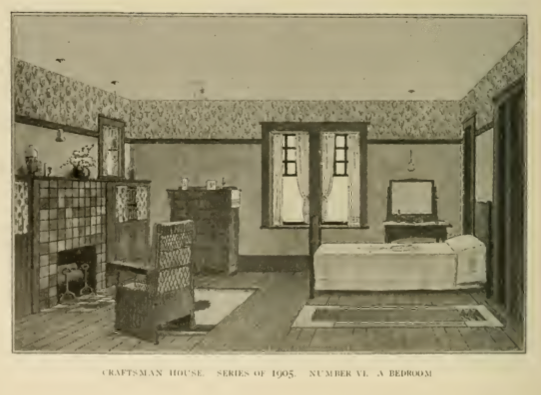 Sharon cruised around old issues of "The Craftsman" magazine and found some examples of bedrooms with unpainted woodwork. 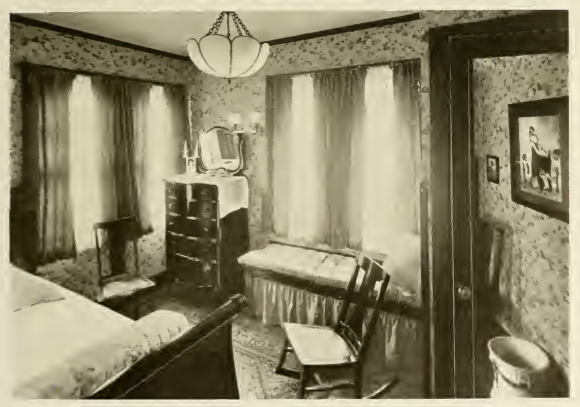 Dates from left to right, top to bottom: 1905, 1904, 1913, and 1914. 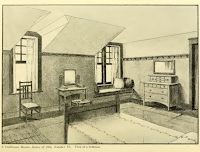 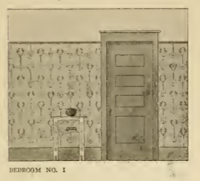 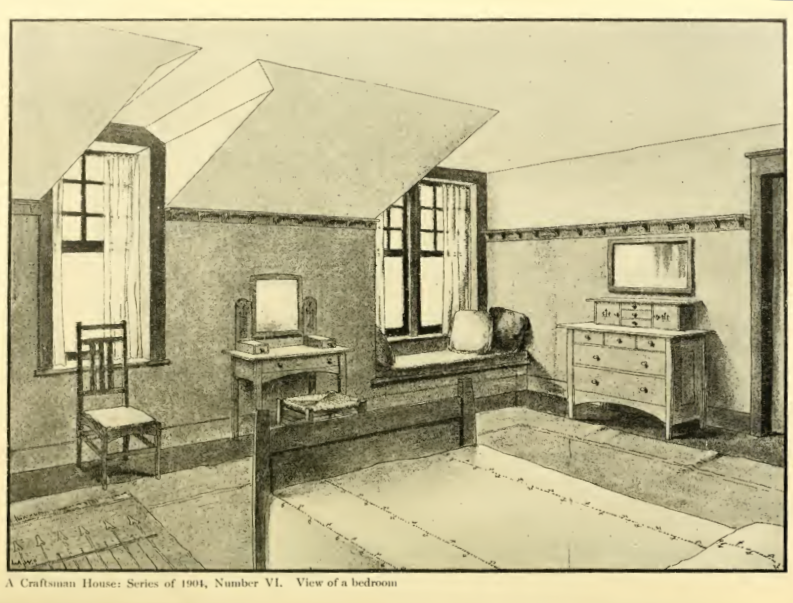 And here is an example of how to wallpaper a bedroom wall, published in 1905. 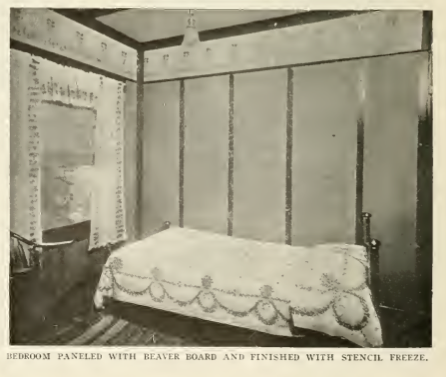 While it's impossible to tell if the woodwork is stained or painted a darker color, it's certainly not white.